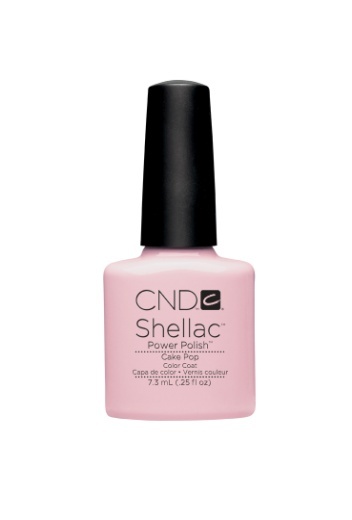 December 2012 – CND Shellac™, the Original Power Polish™, is set to celebrate spring with five new power pastel shades, available March 2013 in salons worldwide. CND Shellac is the Original Power Polish system that goes on like polish, wears like gel and comes off in minutes with no nail damage. Discover the new CND Shellac Sweet Dreams Collection at a salon near you by visiting www.cnd.com. CND Shellac is a professional salon service product available in 65 markets globally. Manicure prices typically range from $25-$45 and pedicures from $40-$60 depending on location. Since launching in 2010, CND Shellac has transformed salon service manicures and pedicures, delivering 14-day flawless wear and mirror shine with zero dry-time, no chipping and no nail damage. CND Shellac comes off safely in minutes with convenient, hygienic CND Shellac Remover Wraps that precisely target the nail to limit skin exposure to acetone. With OFFLY FAST™ Moisturizing Remover, which recently launched in fall 2012, removal time has been reduced by 20 per cent, making the process only eight minutes. Founded in 1979 and based in Vista, CA, CND (Creative Nail Design, Inc.) is the global leader in professional nail, hand and foot beauty. Deeply committed to advancing the nail care industry, CND devotes significant time and resources to product research and development, education, and customer support. CND is an industry-leading advocate for the role of nail care in personal beauty and fashion.